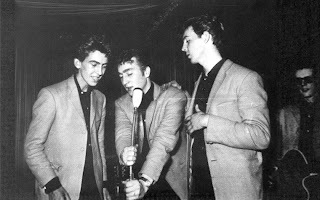 In "You've Got to Hide Your Love Away" The Beatles did their best in creating a Bob Dylan song. It shouldn't have surprised me that about the time I began to enjoy the work of Bob Dylan is the same time that this song kept getting more and more play when I would turn on the Beatles. Eventually, I listened to it so much, that the song became one of my essentials. 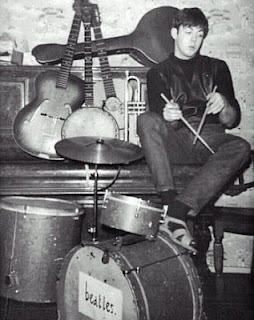 I liked the idea that the Beatles would take a style they loved so much (Bob Dylan's folk acoustic sound) and put their own spin on it, that I begin trying to think of ways I could apply it. It began to encourage me to try and craft sermons in the style of some of my favorite preachers but with my own spin on it. 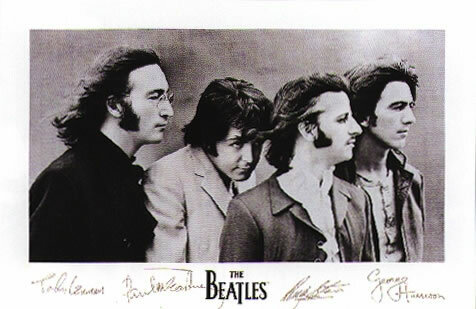 The Beatles (more particularly John Lennon) were able to sucessfully stamp their own style onto the Dylan sound. I unfortunately didn't have anywhere near that success with my sermons. I guess you have to have your own distinct style beforehand if you are going to make something your own, otherwise, you are just copying. The song is just 2 and a half minutes long, but after listening to it, there is a feeling of exhaustion to it (a forward drive that is matched only by a song still to come on the list). 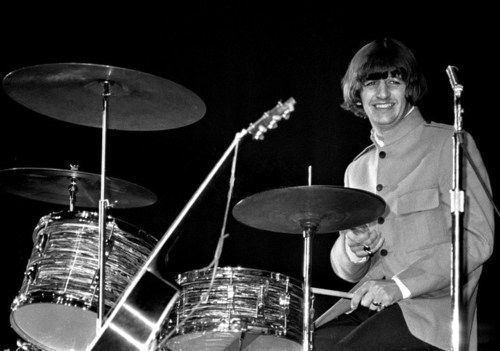 The song opens with that famous chord and doesn't let up (including Ringo's incessant drums) until a nice coda that comes and feels like a sigh of relief. This feeling perfectly matches the main lyrical idea of an exhausted man coming home to a wife that makes him feel better. A perfect little piece of rock-pop, "A Hard Day's Night" came right after their first American successes, cementing the Beatles as a group that wasn't going away anytime soon. I'll let wikipedia explain a bit here, "The song opens and closes with the sounds of a jet aircraft flying overhead and refers to a "dreadful" flight back to the U.S.S.R. from Miami Beach in the United States, on board a B.O.A.C. aeroplane. Propelled throughout by McCartney's uptempo piano playing and lead guitar riffs, the lyrics tell of the singer's great happiness on returning home, where "the Ukraine girls really knock me out" and the "Moscow girls make me sing and shout" (and are invited to "Come and keep your comrade warm"). He also looks forward to hearing the sound of "balalaikas ringing out"". I really love this song. 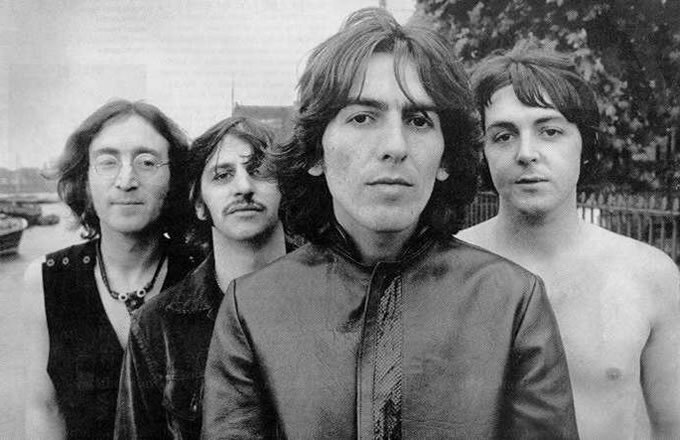 I loved it when I first borrowed my Dad's copy of The White Album and I love playing it on Rock Band. It's my favorite fast rock song that the Beatles put out past their mop top days and a Beatles Top Ten would be diminished without it there. 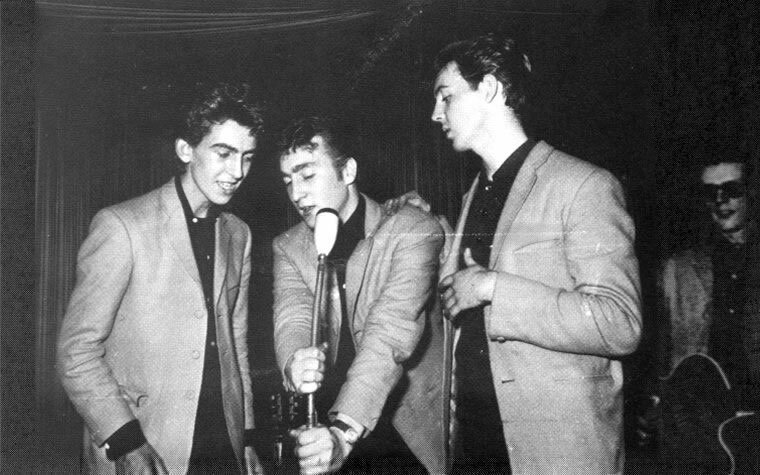 The best love ballad in the Beatles catalog wasn't written by Paul or John, it was written by George Harrison late in the life of the band. Being much later in their careers, it's not a surprise to find the lyrics less idealistic and a bit more restrained. A friend of mine once said he would've included this song in his wedding reception if it weren't for the lyrics, "You're asking me will our love grow, I don't know, I don't know. You stick around now it may show, I don't know, I don't know." While Harrison's honesty might not be suitable for weddings, it's remarkably refreshing in the Beatles catalog of love songs, which tend to be either full in love or in the midst of a breakup. This song strikes a very authentic (to me) note of someone who doesn't feel capable of saying how the relationship will be in the future, not because he isn't committed, but because he's jaded by life. I feel like John Legend's "Ordinary People" is similar in that it remains an authentic love song, even while voicing honest concerns about relationship expectations. Oh yea, the song sounds great as well. Slow verses give way to a percussive and building chorus that gives way to a beautiful guitar solo. It then circles back around to the verse with a renewed purpose and power and finally lets out. Great song. 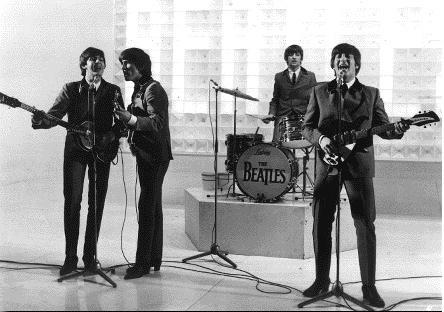 Outside of "Yesterday", this is perhaps the most recognizable and popular Beatles song on the list. 48 years after it's release, it still remains a perfectly crafted piece of popular music. Let me ask you a question, "When you hear the electric guitars come in, the drums to follow and then the clapping, the voices 'Oh yea I'll...tell you something....', how do you not put a smile on your face and start singing along with it? 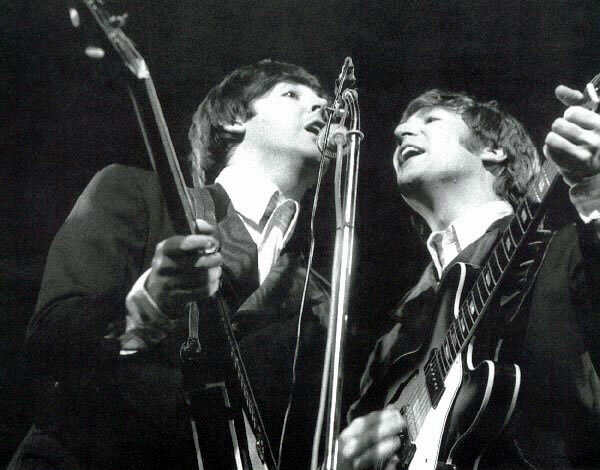 It doesn't have the gutsy, full-tilt vocal performance of "Twist and Shout", nor does it put a bigger grin on my mouth than "Ob-La-Di, Ob-La-Da", but it's a better song overall than either of them. The verses are catchy, the chorus unforgettable, and the harmonies infectious. Turn this song on while riding in the car with friends and I have a hard time not seeing everyone tapping toes, smiling, and singing along. Isn't that what a great pop song is supposed to do? There is a whole genre of songs that I have created for my personal use; I call it "Cheer's Songs". You know how the opening song of Cheer's has all these old timey pictures of people having fun and enjoying themselves with friends in a bar? Those pictures carry with them this kind of heaviness of memory. Because the people in the picture have all passed, it always comes across to me as melancholic memory. Songs that evoke that feeling (perhaps nostalgia?) of melancholic memory I call a "Cheer's Song" and "In My Life" is the epitome of a "Cheer's Song". The lyrics are basically John Lennon's first attempts at writing a song that began to reflect upon his life (after being encouraged by a journalist), rather than a song that was just 'made to order' to sell or fit out an album. The result is a melancholic song that always puts me in a mood to reflect on my life and think about the things that have changed, have stayed the same, and that have meant the most to me. Besides the meaning, this song includes my absolute favorite instrumental bridge in a Beatles song (that was actually played by producer George Martin). The piano solo (that always makes me think of a harpsichord) encapsulates that melancholic memory feeling that the song embodies and I'll be honest, I really like that feeling. I'm a sucker for that feeling. That feeling will keep me up for hours, ranking places I've been, thinking about great friends, pounding out lists...well...like this one. This is the first song to make it into the top 5, because were I to only have a handful of Beatles songs, it would incomplete without this one. Here is another example of a great "Cheer's Song", one where Lennon evokes more specific memories and reflects more specifically on his life. I didn't intend to put "In My Life" and "Strawberry Fields Forever" next to each other, but they make an incredible pair of songs to contrast. 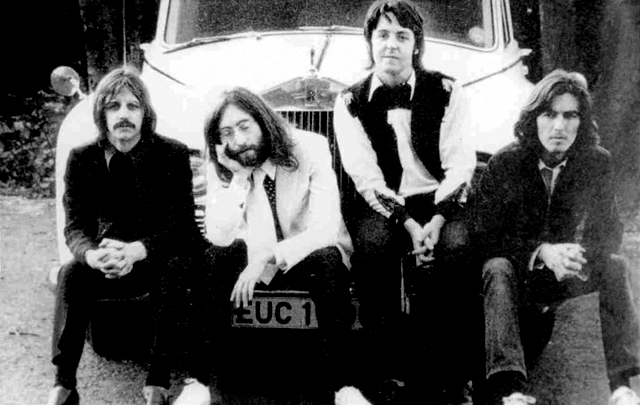 If "In My Life" would be considered a more mature work by Lennon, then "Strawberry Fields Forever" is his peak. I don't believe there is a better song that displays Lennon's strengths while being absent of his weaknesses. "No one I think is in my tree, I mean it must be high or low. That is you can't you know tune in but it's all right That is I think it's not too bad." That creativity comes across in the sound of the song as well; one that borders on psychedelic but ultimately is a lush guitar and drum song surrounded by horns, strings, and many others. I need to point out that this is an excellent drum performance. No other song combines Lennon's lyrical honesty and reflection alongside his ability to experiment with rock sounds, all while REMAINING POP. It's mature, deep, and more importantly for us listeners, accessible. *For a little help on understanding the song, I strongly recommend reading the wikipedia article. You will get a lot of great context on this song that I wasn't able to include here. This is a beautiful love song wrapped in an uptempo and sometimes country and western wrapping. It's another perfectly crafted piece of popular music by a young McCartney. What sets this song apart from many of it's early pop counterparts is that I grew up listening to this song. Only, I never heard the version by the Beatles when I was a kid, not once. I knew this song because my father would sing it to my sister and I when we were children. My dad would slow the song down, and focus on the, "send all my loving to you, ALL MY LOVING". I remember it distinctly. The Beatles do a great version of it here, and I could write more about it, but I think I'll just leave my commentary here. Other songs might be technically better with lyrics that are more insightful, but none have a connection with me like this one does. Had I only three songs in the entire Beatles catalog, this would be one of them. I can hear the Beatles fans now, "Huh? This throw away ballad from Revolver? Okay, I was able to stomach the whole, 'My dad sang that song to me as a kid routine, but this is too much!". The only thing I can say in return is that there is just something about this song that I cannot shake nor can I really explain it. I find myself constantly returning to it whenever I put the Beatles on. This is just "that" kind of song for me. 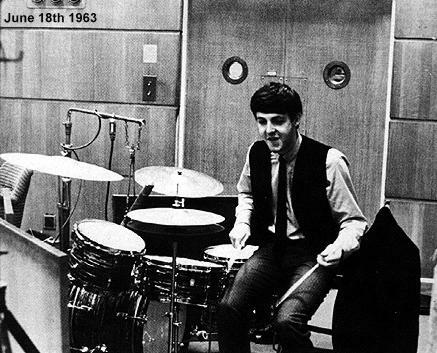 The whole song comes together for me; the melancholy heartbreak, the inspired use of the clavichord, the beautiful french horn solo, and one of Paul's most pure performances. I just flat out love this song. 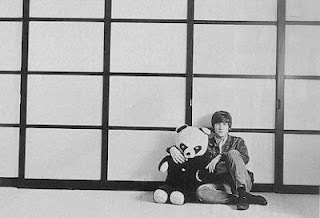 "For No One" is just as good a ballad as "I Want to Hold Your Hand" is a pop song. You need more? Forget it, I can't explain it, just listen to it and enjoy! "One, Two, Three, FAH!" is how "I Saw Her Standing There" begins and for the next 2 minutes and 56 seconds it is a rocket that just never slows down. I can think of few other pieces of popular music with this much energy from beginning to end. An energy that puts a smile on your face (just as much as "I Want to Hold Your Hand") and forces you to get up and dance. Other songs make you want to dance and sing, this song makes you UPSET if you don't get up and dance. That's the kind of song this is. To me, this song embodies everything that made the Beatles the most popular band on earth in 1963. It's not just a pop song, it's a pop song that really does rock. Listen to this song and tell me that guitar, the bass, and the drums aren't doing a lot of great work here; filling out the song and beckoning you to move to their sound. The vocals are great, the harmonies are great, and there are a few moments, like the scream halfway through and the incredible bridge, that kick this song into another level. The song doesn't have the depth of "Strawberry Fields Forever", the heartbreak of "For No One", or the nostalgia of "In My Life", but it contains one of the most potent ingredients of life, the sheer JOY of infatuation. The early Beatles songs were great at bringing that joy to the listener, but "I Saw Her Standing There" pumps it directly in the veins. To package that emotion and feeling in this rocket of a song, is why it's their best to me and why if I could only have one Beatles song, it would be this one.